Why Is It Important To Hire Professional Gate Motor Repair Experts? Electric gates are used in numerous places due to their effectiveness in providing proper safety solutions. In modern times, the use of technology for security reasons is becoming highly important. Automatic gates are the best examples of such technology. These gates do not require any manual effort or assistance. For the operation of automated gates, electric gate motors are required. These motors perform opening and closing operations. Thus, the motors are an integral part of these gates. However, it is important for you to opt for a reliable service provider who offer sufficient gate motor repair Miami for smooth functioning. Brackets act as a protective shield for the gate motors. Since gate motors play an essential role in operating the gates, it is important to protect them. Depending on the types of motors, there are several types of motor brackets. They can be changed in accordance with the shape and design of the motors. Also, the motor bracket installed should have anti-theft feature. Therefore, they are durable and laced with cutting-edge features. In addition, it is vital to consider the material used for making the brackets should be strong. Due to the frequent usage, gate motors can get defected or damaged easily. To fix this issue, it is important to repair them on a regular basis. With proper repairing, you can get your gate motors to work more efficiently. 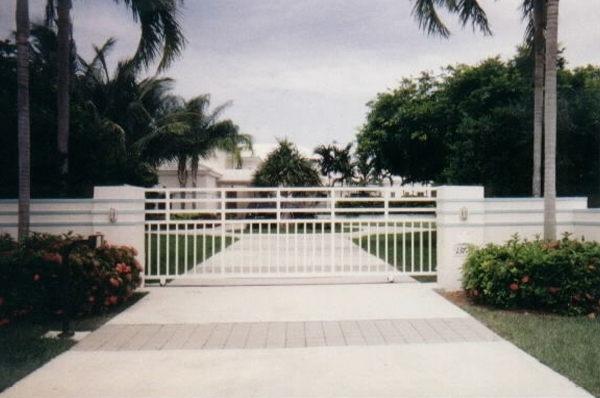 A professional gate motor repair Miami offer better repairing solutions. If the problems are not resolved correctly, the overall durability of the motors can be compromised adversely. The problems with gate motors can lead to an array of things which can affect the functionality of the gates. Since the internal parts of the motors can be hard to repair, this job should be left to specialists who hold expertise in this domain. Thereby, it is prudent to hire experts for this job. With the correct selection of repairers, you can achieve the best results. Maintain A-1 Security at Commercial Property with Automatic GatesHow can the electric gate enhance the value of a property?